You have to go a long way back in time, when hungry young bands stood on the Sunset Strip on Friday nights giving away flyers to audiences that had just left a show at a Hollywood club — everyone did that in the very beginning of the raw and melodic Hollywood Metal era — to understand Killinger. People may tell you how ridiculous the outfits and hairstyles were during those days, or that the music itself was in bad taste, but the fact remains it was (and still is) a way of life — a life and sound that has survived through CDs, books and films. You can relive those days, thirty years later, when you listen to the debut album from Killinger, a band from Edmonton, Alberta, Canada, that started out as the coverband RattPoison, playing all the well known songs from the ’80s hair metal circus. Killinger features David Williams on lead vocals, Kevin Morin on guitars, Justin Craig on bass and Chris Challice on drums, and with their funny video for the pumping track “Holding On” Killinger choose the perfect song for their debut video. 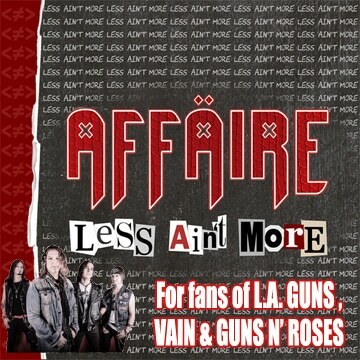 However the band’s self-titled debut contains more good tunes than just the single, such as “We Are Here”, “Never Change”, and “I Don’t Care”, and the CD’s entire production takes you back to the arena rock decade with the typical big sound that will blow you away — and remember, this band doesn’t sleep in the gutters of Hollywood, they are from Canada! 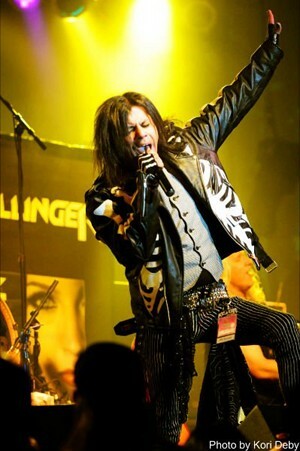 While Killinger brings back that special huge ’80s sound, Sleaze Roxx had the pleasure of having a little chat with frontman David Williams. Sleaze Roxx: Your debut album has that big ’80s arena sound and everything hair metal was famous for… transferred into 2011. How did you manage to come up with such a good record? David Williams: It was never a matter of sitting down and asking ourselves what we should do. We love all the new music that is out there, but our home is in the ’80s — we’ve never left. It’s really all we listen to because of the excitement of all it had to offer — if you wanna call it ’80s, then so be it… because it is! The music is really just a reflection of ourselves, not forced, just whole-hearted emotion. Expect more of the same on albums two and three! 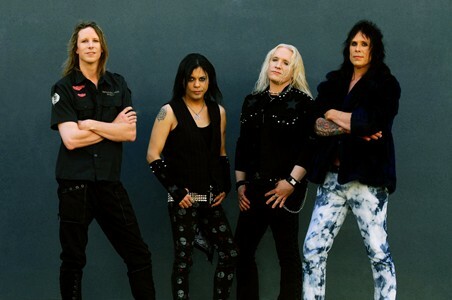 Sleaze Roxx: I would describe your music as having a European flair, sounding a bit like the old Scorpions, but also with elements of American bands like Stryper, Skid Row, and Dokken. Was that partly due to the mix of Mike Fraser (who has worked with AC/DC, Metallica, Aerosmith, etc.)? David Williams: I love those bands you mentioned us sounding like. All those bands are still, and will always be, our faves. There is a big Euro/USA sound to what we do, it just happened that way — everybody’s influences came out while writing. Mr. Mike Fraser is like a wicked car wash… and we had a dirty muscle car! He washed the outside and shined us while leaving out no detail to the small things and gave us that new car smell. Sleaze Roxx: Everyone will ask this, but how did you get Mike Fraser involved in the album? Also, how did you get George Lynch to do guitar work on the song “Never Change” and also Pete Holmes (of Black ‘N Blue) to play drums on the entire album? David Williams: George and Pete are great friends with the producer of this album Rick Plester. We wanted to make sure that we were genuine about our music, and having the both of them on the album would make people listen and believe in what we are doing. Pete has his hands full with his career with Black ‘N Blue and his other projects so we now have Chris Challice — he is what this band is all about and is a huge asset to this band. 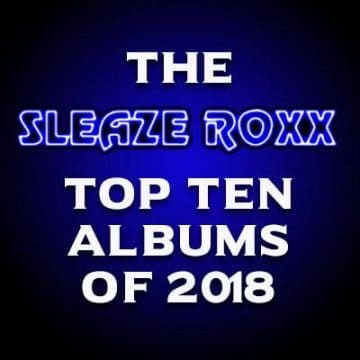 Sleaze Roxx: What three songs from the album you are most proud of and why? David Williams: I can’t pick just three songs, nor have I ever been able to answer the question of ‘who’s your fave band or song’. All the songs have a place in my heart. Wow, that was the hardest question I’ve ever had, because I don’t have an answer! 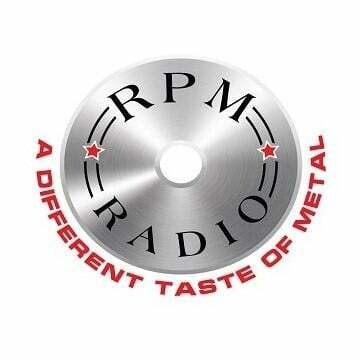 Sleaze Roxx: Have you thought about playing big festivals like Rocklahoma and M3? David Williams: Our company wanted to get the word out to like-minded people about the band but we had no window to play the gigs. So we did the next best thing, we sent two hot ladies in Killinger wear down to the sites and they handed out flyers/postcards telling people about the band. There is always next year to play Rocklahoma and M3. Sleaze Roxx: Playing for years as a cover band named RattPoison, what was the breaking point that led you to come out of the shadows of performing ’80s metal and writing original songs instead? David Williams: I got the cover band together because I only really know how to sing that stuff. I’ve always had the mindset that I would do something big, so RattPoison was the vehicle that drove me to where I am today and gave me the tools to make the same music that I loved. What a wild feeling it is now knowing a song we wrote now has the very guitar player we all consider a legend. Sleaze Roxx: So many excellent hard rock bands have come from Canada — like Triumph, Helix, Santers, Prism, Rush, April Wine, etc. Is there a similar rock scene in Canada today or has it change that much? David Williams: The rock scene has kinda fallen out — you’ll only find heavy bands in small clubs, if at all. In the early ’90s we had a great bar scene, but all those bars closed down and there are only a few that now have bands on a weekend basis — but that’s the scene here in Edmonton. There are bands that are trying, and I do support some of them, and maybe there are things happening elsewhere, but if there is a scene out there I’m still looking for it. No band stays together long enough to make a music scene here. 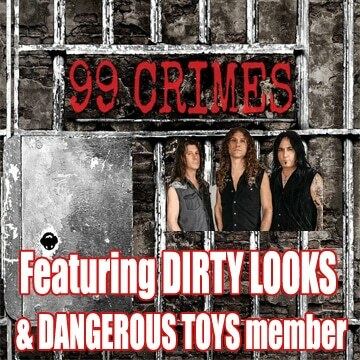 Sleaze Roxx: What do the members of Killinger do as far as day jobs, etc.? David Williams: Jobs!?! We work to float the boat so to speak. I won’t say what we do during the day because it all comes back to the band, we work to stay alive for the band. I even tattooed the name on my arm — I’m in this for life. Sleaze Roxx: What would you say is the musical background of the band — any idols or specific influences? David Williams: My first KISS record at 6 years old, Alice Cooper at 7 years old, and my first two concerts were KISS/Cheap Trick in 1977 and Van Halen during their 1984 tour. I come from a hockey family so music was not what was around really. I couldn’t skate very well and hated being stuck in the net all the time, so I ended up in the house listening to my records all the time. All our influences are on the album, you’ll hear every one of them if you listen to the whole thing from front to back. Sleaze Roxx: What would you say was the specific moment you wanted to be a musician? David Williams: I guess when I saw my first KISS concert, that’s what did it for me at 8 years old — seeing all the people in the arena, the lights going down, that intro… “If you wanted the best”. There was no looking back from that point on, and I have never looked back since! Sleaze Roxx: For a young band maybe it’s a bit too early to tell, but what has been the best memory so far about being a part of Killinger? David Williams: We are just about to have all of our big moments, but having George Lynch on the album, getting Pete Holmes to play the studio tracks, working with Mike Fraser and Ted Jensen (mastered)… I think I’ll be able to answer this question better next year!